In Asia, coconut water has been a popular drink for centuries – not just because it is simply delicious and wonderfully refreshing, but also because it is a real nutrient miracle. There are few foodstuffs in this world that contain as many vitamins, nutrients, minerals, antioxidants and amino acids in such an ideal combination as does fresh coconut water. It contains considerably more potassium than bananas and also offers trace elements such as zinc, iodine and selenium. Coconut water contains almost no fat and only a very low amount of sugar despite its light, fresh sweetness. This is why fresh coconut water beats other fruit juices by a massive margin. So, if you want to do something really beneficial for your health and well-being, you should always stock fresh, green coconuts for drinking! If you want to purchase coconuts for drinking, ensure that you buy organic produce and absolutely fresh coconuts that were harvested at exactly the right time – when the nutrient concentration in the coconut water is highest. 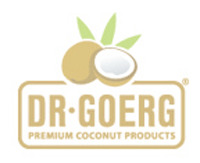 Our untreated, green coconuts are harvested when the nutrient level of the coconut water reaches its maximum. In its natural packaging - the coconut husk - and well chilled, the valuable natural drink stays fresh for several weeks. The sweet isotonic coconut water also is a classy cooking ingredient that can give many dishes a delicious flavor. Order your package of the upcoming drink now and profit from the unbeatable effect of coconut water on health and beauty! Of course, you can also simply use coconut water as a healthy, delicious way to quench thirst. Give it a try, you will be as delighted as we are!